From humble beginnings sewing gloves in a Devon kitchen to the golden days of a family business making gloves in the heart of Britain's textile industry, supplying the Royal Family and exporting gloves around the world. 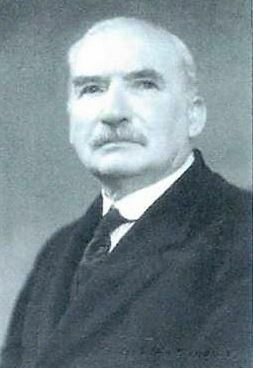 William Pinkham the founder of W. Pinkham & Son Ltd., at the age of twelve in 1873 became an apprentice in a chamois leather glove factory in Great Torrinington in Devon. By the end of his apprenticeship he had met his wife Rebecca Fowler who had started part time work at the age of eight at sixpence a week. At the age of twelve in 1876 she became a full time glove machinist. In 1884 William at the age of twenty two and Rebecca at the age of twenty were married, a daughter Lilian was born after one year and six years later their son Leslie was born. When Leslie was eight years old William and Rebecca started their own glove making business, William cutting the gloves by hand and Rebecca sewing them on a treadle machine. The profits they made were used to buy more leather and fabric to make up more gloves. This laid the foundation of the firm W. Pinkham & Son Ltd. In 1901 the family moved to Witham where William was employed as a political agent for the Liberal Party. In his spare time he and Rebecca continued to make gloves in their house 11, Albert Road Witham (opposite the railway station). In 1904 several girls were employed and two more houses (13 and 14 Albert Road) nearby were taken over. 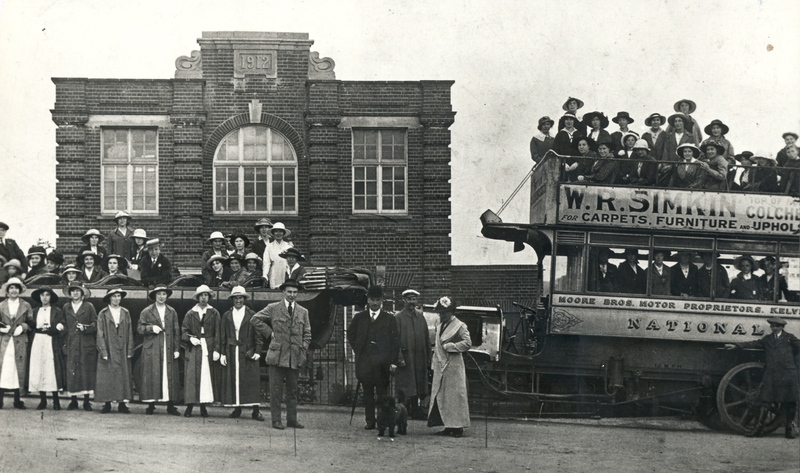 In 1912 they built a factory just over the railway bridge at Witham and shortly after the factory was opened Leslie Pinkham and his sweetheart Elsie Mansfield (who he was later to marry) planted three small oak trees in front of the factory. The company was then known as The National Glove Company. Due to subsidised continental competition the business was forced to close down in 1931, however due to the determination of William Pinkham and his son Leslie and several faithful members of their staff and hard work the business built up to full capacity in the 1930s following the opening of a factory in Dagenham in 1933. 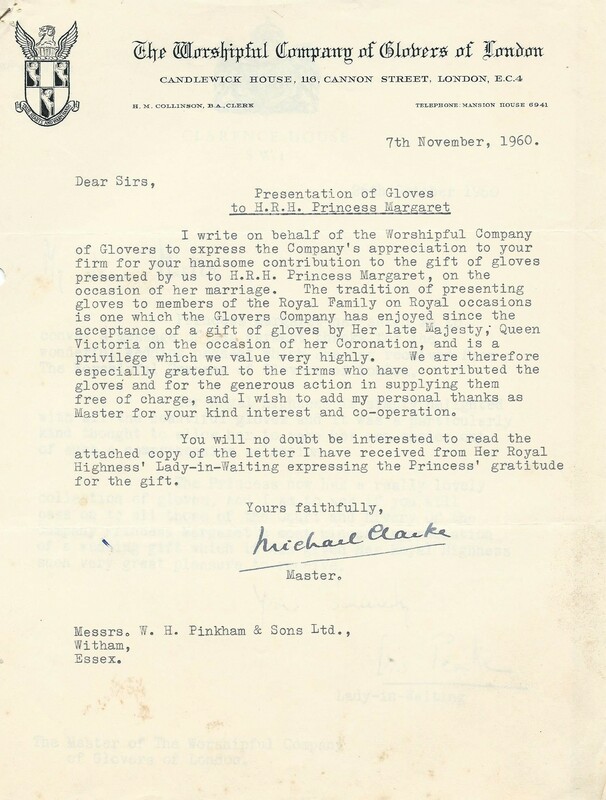 During the 1939-45 war the major part of the firm’s production was turned over to supplying The Ministry of Supply making specially heated gloves for the British and American air forces. With the cessation of hostilities expansion was possible and Leslie Pinkham’s three sons Richard, John and David returning from service with the forces joined the company. In 1948 an additional factory was built at Witham and at the request of The Ministry of Development a factory was opened at South Moor County Durham and a few years later a new factory was built a few miles away at Stanley, County Durham. 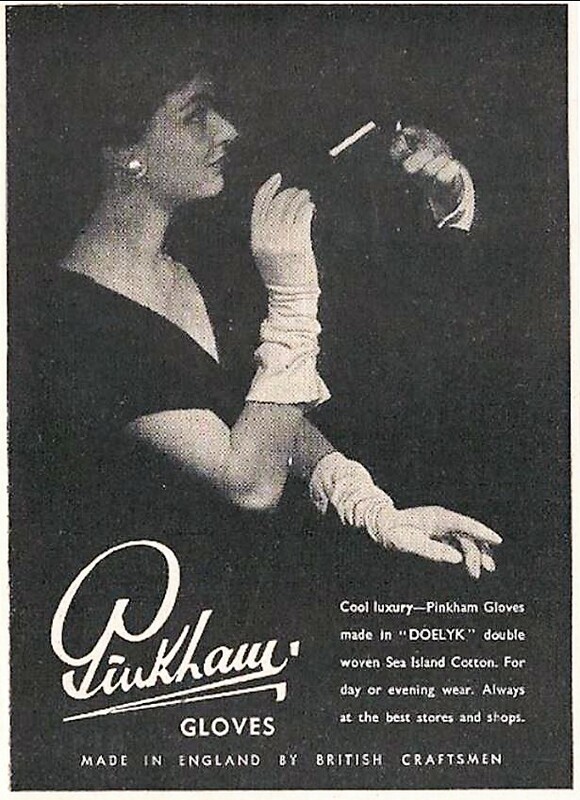 By the early 1950s worldwide sales of Pinkham gloves had been established employing some 300 indoor workers and a similar number or outworkers producing around 4,000 dozen pairs of gloves a week. 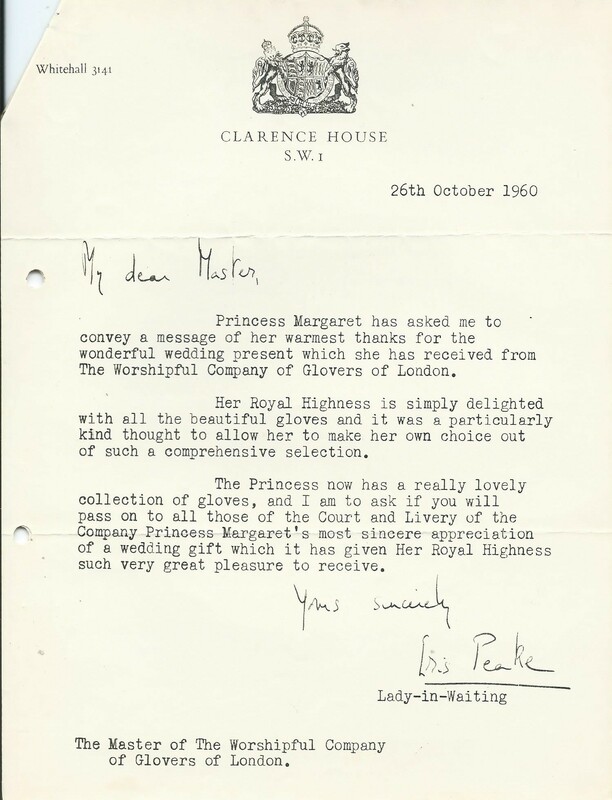 In the early 1960s gloves were being imported into England from countries in the Far East where labour costs were far below those paid in this country. 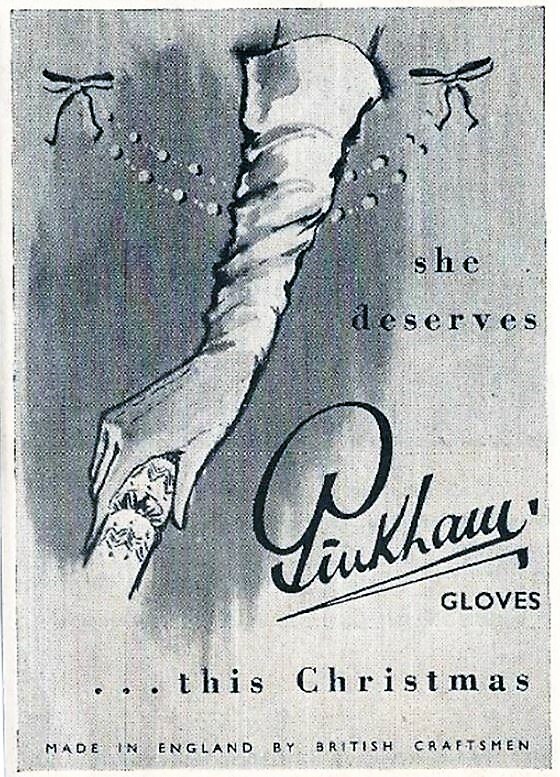 Made from fabric produced in English mills the gloves were being sold at about half the price of the cost of gloves manufactured in this country. This combined with fashion turning away from gloves being part of Ladies’ dress impacted on the company’s sales. In 1966 the company had to close down. This ‘potted history’ of the company was written in the 1970s by John Pinkham the grandson of William Pinkham.